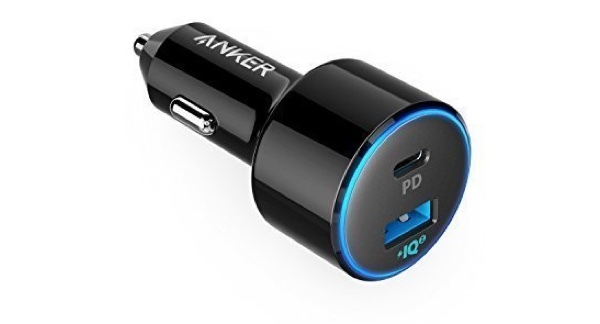 Want iPhone X, XS, XS Max USB-C PD car charger for fast charging? 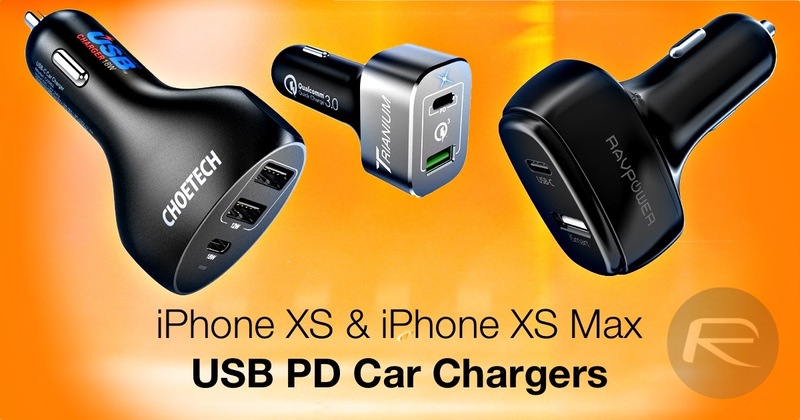 In today’s list, we’ll lay down all the best USB PD car chargers that can charge up an iPhone XS and iPhone XS Max at full speed during your commute. Having a slow car charger is rather pointless. If you see yourself making quick commutes to places throughout the day then you need to pick up as much juice as possible whenever you connect your Lightning cable to your iPhone XS or iPhone XS Max. Thankfully, the iPhone supports USB Power Delivery which means that it can fast charge at 18W of power, given you have the right car charger. Today’s list, as you might’ve guessed, revolves around USB PD car chargers, and we have only the best options available in the market. Let’s jump right in. Though the name is a mouthful, but it will provide your iPhone XS and iPhone XS Max all the power it needs to reach from critically low battery levels to something more acceptable. Also, it has an extra USB-A port that can supply up to 18W of power. So this charger can slay two birds with one stone. 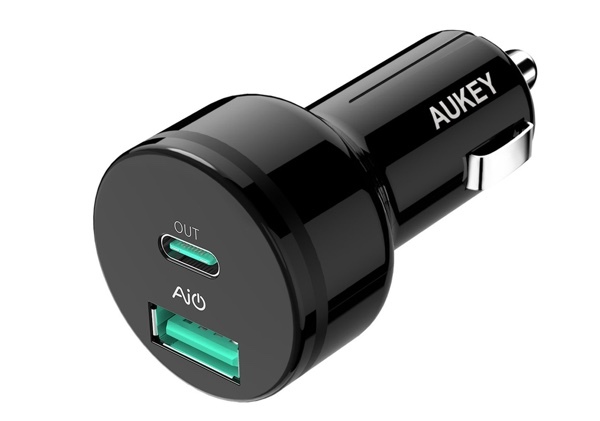 This option from Aukey might not provide extreme speed in the USB-A end of the equation, but it delivers the 18W of power needed to fast charge the iPhone. But that’s not all, just like the Anker option above, this one will charge a MacBook too. 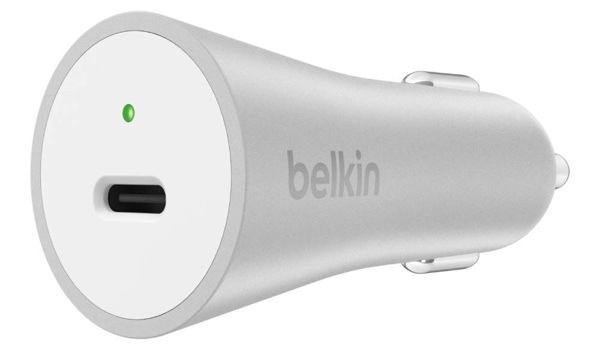 Backed by companies like Apple itself, this car charger does one job and does it well – fast charge any USB PD compatible device, including the new iPhone XS and iPhone XS Max. The only downside of this product is that it features a single USB-C port, nothing more. 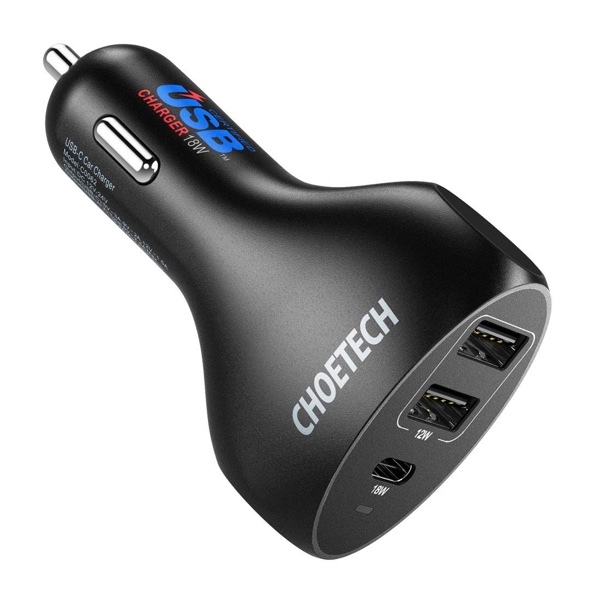 If you badly need two extra USB-A ports along with a USB-C port then this option from Choetech is what you should go for. It’s very cheap at just $19.99 and is built with sturdy materials too. 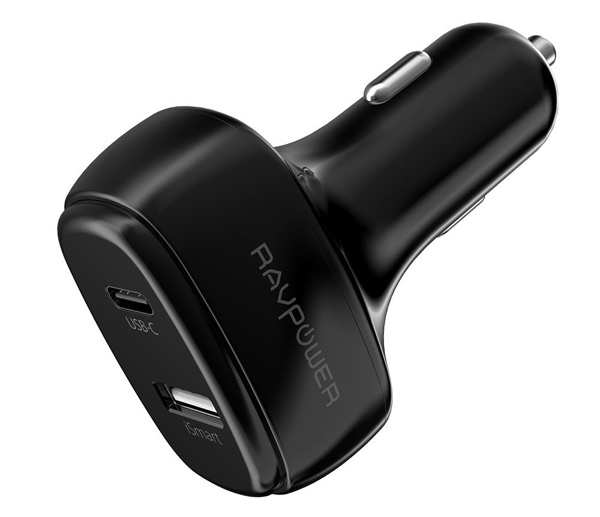 A power accessory list wouldn’t be complete without RAVPower in it and this little car charger from the company is right up there with the big guns too. It can output a total of 45W and features one USB-C port as well as an extra USB-A port for charging other devices. Don’t want to break your wallet but don’t want to skip out on features too? 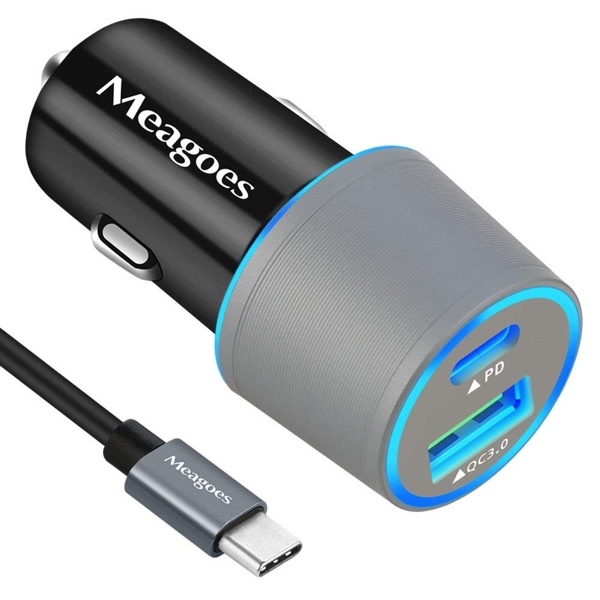 This option from Meagoes might not feature the best build quality on the planet but has a USB-C port along with a Quick Charge 3.0 USB-A port. If it’s speed you’re looking for on the cheap, you’ve found it with Meagoes. And oh, it even comes with a USB-C cable in the box. All that for just $15.99! It’s hard to believe that you can get a lot of car charger these days with a very less amount of money. This option from Trianium takes the cake when it comes to value. It can push out 63W of power in total through its USB-C and USB-A ports. 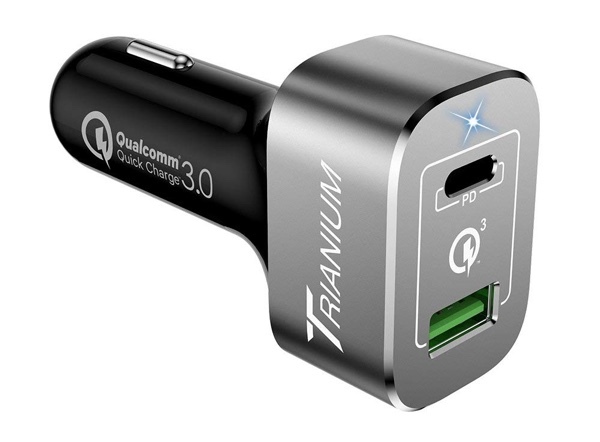 and get this – it features Quick Charge 3.0 too. 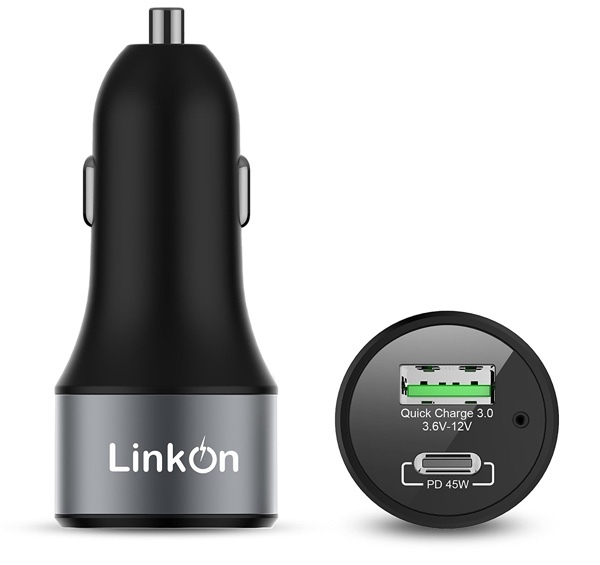 This car charger features one USB-C port for fast charging pretty much anything you can throw at it including the Nintendo Switch while also boasting a USB-A Quick Charge 3.0 port for devices like the Galaxy S9 or Note 9.